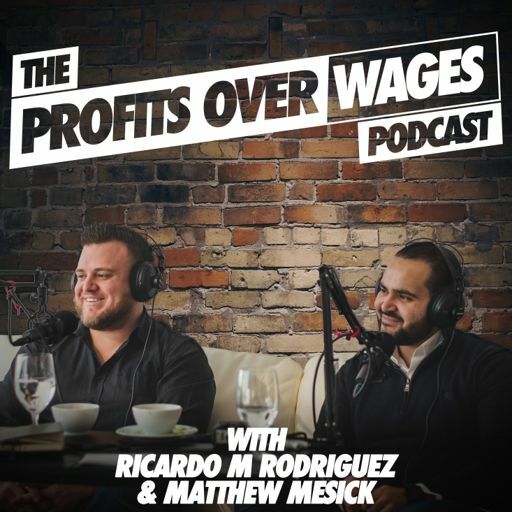 On episode 38 of the Profits Over Wages Podcast, we sit down with Bob McIntosh. Bob is a #1 best selling Amazon author, business owner, and entrepreneur. He has extensive expertise in the areas of mindset, real estate investing, internet marketing, sales funnels, and online businesses. He has spent years mastering the algorithm that Google uses to get sites ranked and is also a social media guru with nearly 40,000 followers. His book, “Get Out of Your Own Way”, hit #1 the day it launched in multiple categories and hit number 2, 3 and 4 in dozens of other categories. He has been featured on over 30 podcasts and counting and is a founding member of the Forbes Real Estate Council providing direction and information in the real estate space for Forbes readers. He has been published on ABC, CBS, Fox, NBC, Yahoo News, Small Business trendsetters, The Money Show, The Miami Herald and Wall Street Select. Bob has also taken his passion for helping entrepreneurs to the road with over 2,500 hours on stages and more than 7,000 people he’s spoken to from every state in the US and every province in Canada. He’s been personally responsible for helping entrepreneurs generate hundreds of thousands of leads online, close tens of thousands of deals because of their social proof, generate millions in profits, and make the massive mindset shifts that are needed for these levels of success. Lastly and most proudly, Bob has made all of his businesses for purpose companies with the choice to help the youth of the US get access to financial and entrepreneurial training that schools simply don’t teach. On this episode we talk about how to get out of your own way - why done is better than perfect, the current state of the real estate market when it comes to rehabbing homes for profit, and practical and simple ways to generate leads online organically through search engine optimization. Bob also gives us an insight into his next book on how to become the general of your business instead of the soldier and how The Absolute Best or TAB retreat came about and why you should be there next time around.